We are thrilled to welcome our newest vendor, All Occasion Prints, to our family of Invitations4Less.com trusted printers. Their collection of Bar Mitzvah and Bat Mitzvah Invitations is spectacular. All Occasions Prints is a small business that prides itself on providing great attention to detail. When you choose an invitation from All Occasion’s collection, you can rest easy knowing that you’ll be taken care of. Their central location in Kansas City, Kansas, allows for quick turnaround as well. 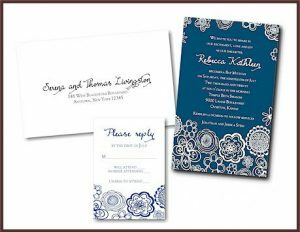 One of the neatest features All Occasions Prints offers is white ink. You can have it printed on any dark-colored stock, which makes for a truly stunning display. Metallic Shimmer and matte stocks in a wide variety of colors also allow for some really neat mixing and matching. And, of course, don’t forget about the convenience factor! 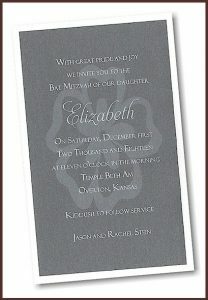 All Occasions Prints also offers guest addressing services. You read that right, they will address your envelopes for you — and at an affordable price to boot! 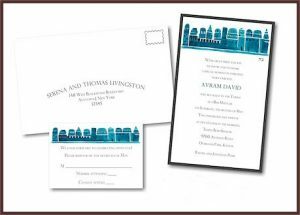 Not only will the Guest Addressing Option save you time, but it will help keep the theme clear and consistent throughout all of your invitation materials. 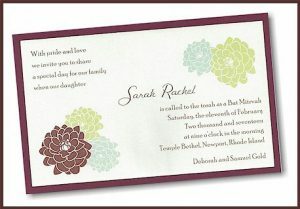 Feminine touches provide elegance and timeless style in this layered Bat Mitzvah invitation from All Occasions Prints. 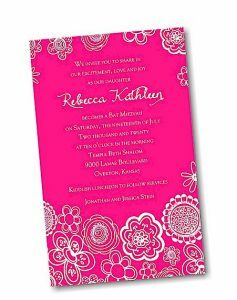 Bright colors and bold designs — get them both with this gorgeous Bat Mitzvah Invitation. Whimsical floral designs and bold typography combine to create quite the “wow” factor. 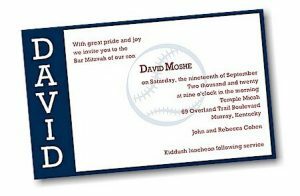 Take your guests out to the ballgame with the Perfect Pitch on Navy Bar Mitzvah invitation. This invitation is the perfect choice for baseball enthusiasts. 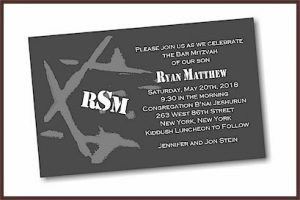 These stunning Bat and Bat Mitzvah invitations are only a very small handful pulled from All Occasions Prints collection. 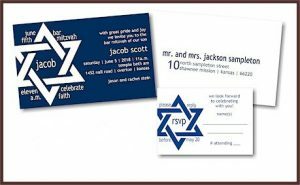 Shop their entire collection of Bar Mitzvah and Bat Mitzvah invitations today — you’re sure to find something you’ll love. Please don’t hesitate to contact us if you have any questions whatsoever. We’d love to help you find the perfect invitation for your unique needs.